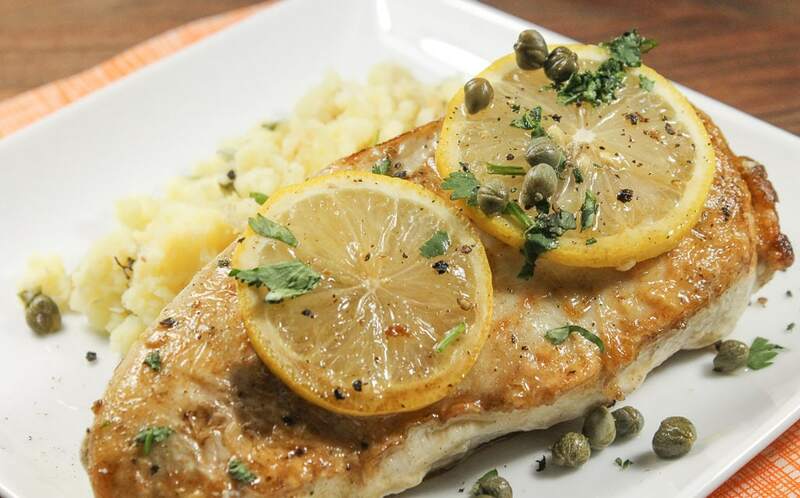 Lemon caper chicken is delicious for lunch or dinner – or even leftovers the next day! It takes about 30 minutes to come together – which is pretty fast no matter how you look at it. 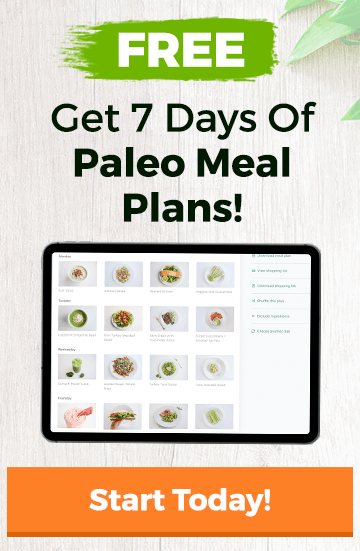 Get the cauliflower going and you can cook the chicken at the same time. Consolidating cooking tasks is one of my favorite kitchen hacks. 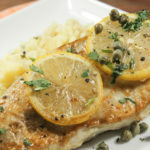 The lemon and capers in this dish give it a delicious tang that can’t be beat, and served with mashed cauliflower, it will feel like a comforting meal you thought you’d never eat again. For extra nutrition, serve with a small side salad tossed with olive oil and lemon juice. Put the cauliflower, broth, and garlic in a saucepan and bring boil. Reduce to a simmer and simmer until cauliflower is tender. Drain, add the sour cream and butter, and mash with a potato masher. Season to taste with salt and pepper. While the cauliflower is cooking, heat the olive oil in a heavy skillet and add the chicken. Cook until well browned, flip and add the lemon slices to the top. Sprinkle with capers and transfer to the oven. Continue cooking until chicken is cooked through at 165 degrees F.